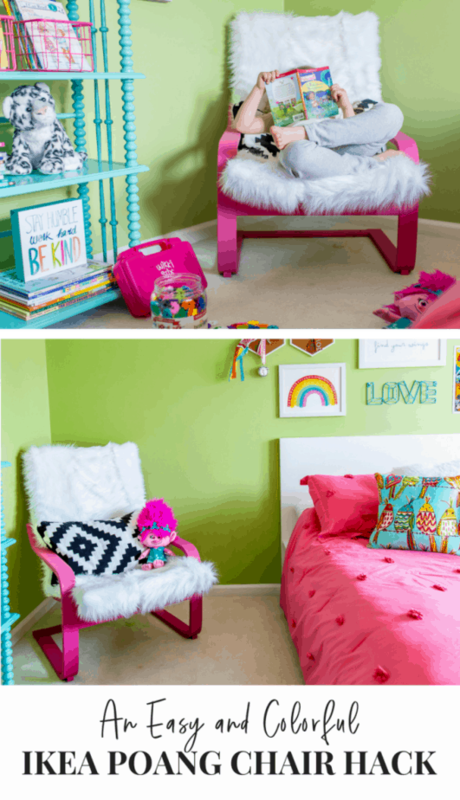 If you missed the details about her room refresh, you can read all about it right over here! 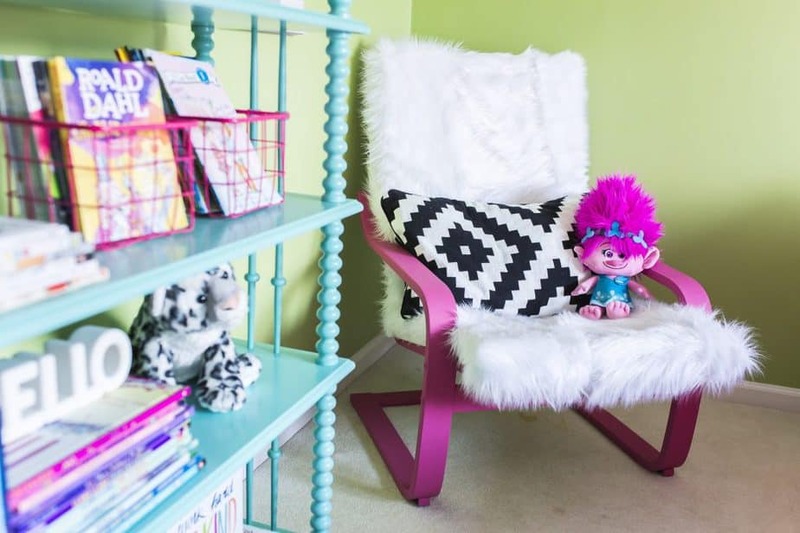 Anyway, one thing I wanted to do as part of her bedroom makeover is get her a new chair for lounging and reading. I was considering buying a chair similar to this, but wasn’t all that excited about the price tag. 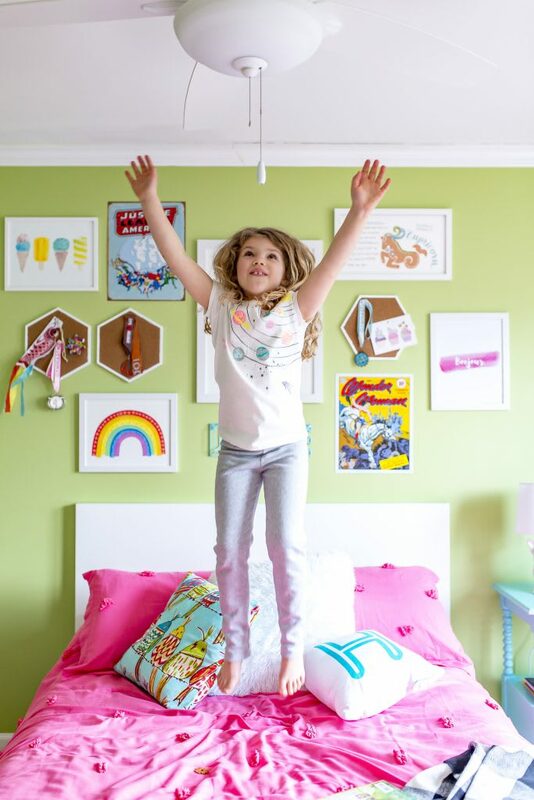 I splurged on new blackout curtains and new bedding, plus the cost of all the artwork above her bed started adding up faster than I’d hoped (story of my life!). So I decided that I needed to be thrifty when it came to new seating. 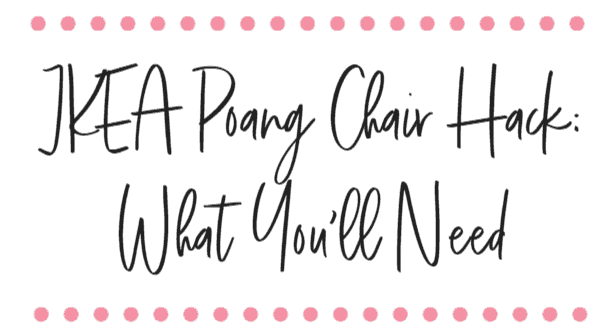 Lucky for me, someone in my neighborhood was selling an IKEA Poang chair. As soon as I saw it posted in our Facebook community group, I jumped on it. When I purchased it, the chair had a birch frame and a fire engine red cushion. Not exactly what I had in mind, but the bones of the chair were great and totally what I needed for a quick and easy DIY project. Even if you don’t consider yourself a DIY-er, YOU CAN DO THIS. Trust me….I’m no DIY guru, either. In fact, I own zero power tools and frankly am scared of big projects. Surprising, right?! Well, it’s true. 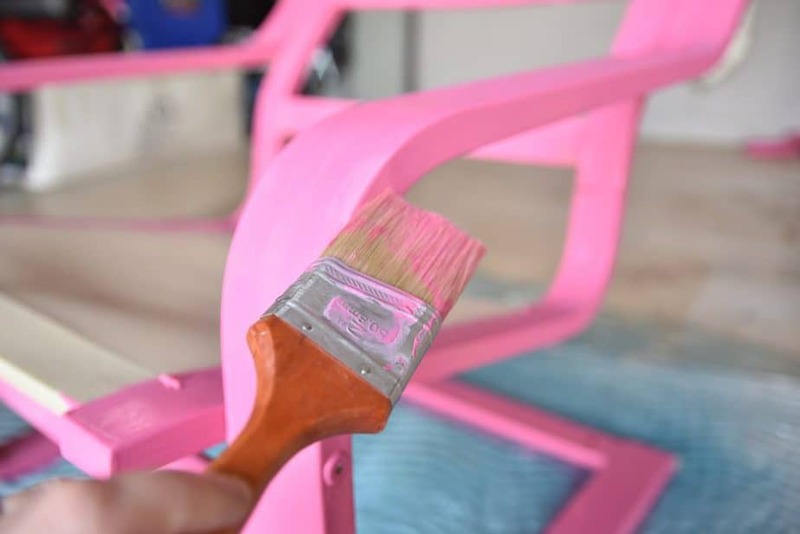 Anyway, here’s how you can turn a blah IKEA Poang chair into a piece of furniture that’s fresh and fabulous. The secret ingredient? 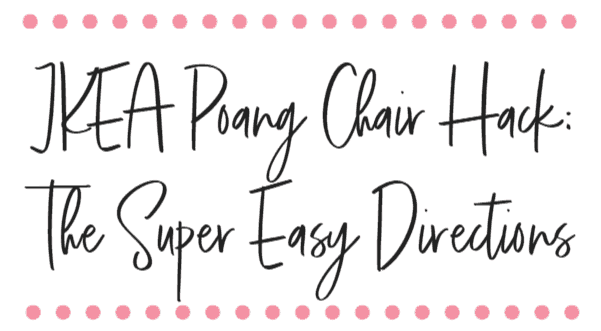 A custom IKEA Poang chair slipcover from this amazing Etsy shop. Remove the old cushion and cover from your IKEA Kallax chair. Wipe down the chair frame with a wet paper towel to remove dust and debris. Let dry. 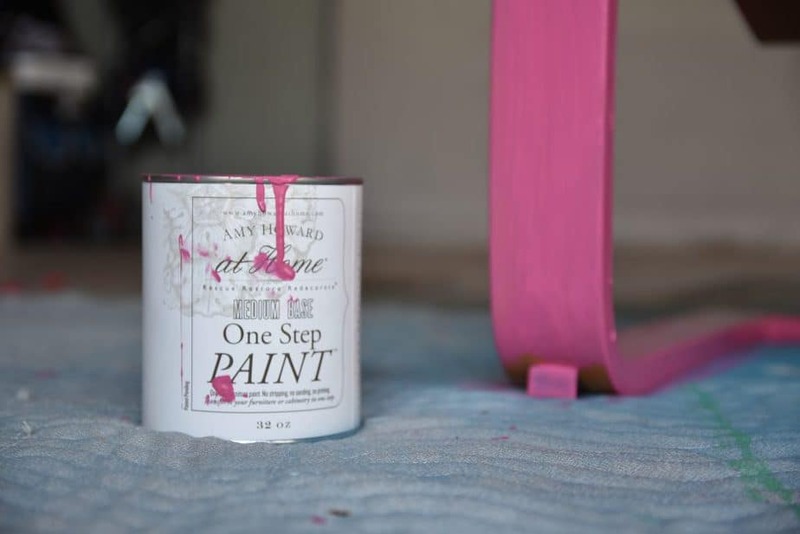 Using your Amy Howard at Home paint, give the chair frame a thin coat of paint. Let dry. Add your new cushion and cover to your chair. Step back and admire your stylish new spot to curl up with a good book! Here are a couple of in-progress photos…. 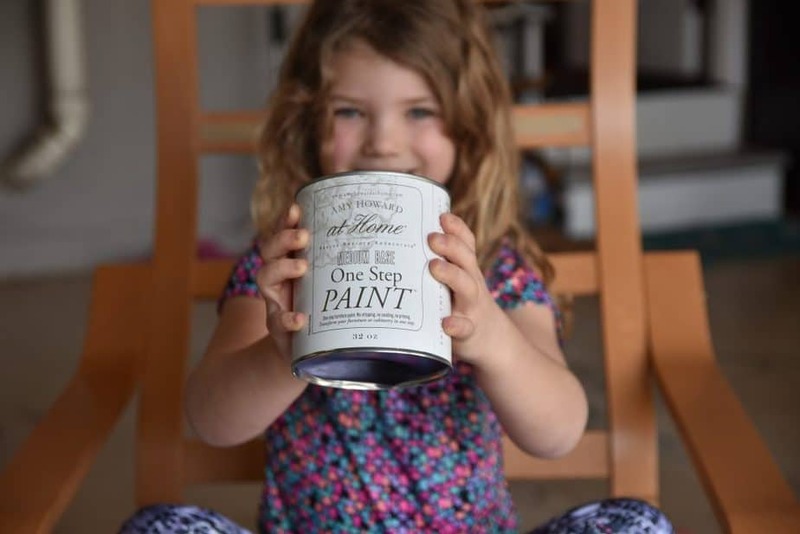 It’s amazing what you can do with a little bit of paint and an awesome find from Etsy, isn’t it?! What other IKEA pieces have you hacked and loved? Tell me in the comments! P.S. Like this post? I’d love it if you’d pin it! Thanks! It really is! And of course her little brother loves it too. That chair cover really makes the piece — it is SO cozy!